Destined for so much, achieving so little: Wedding Fun! 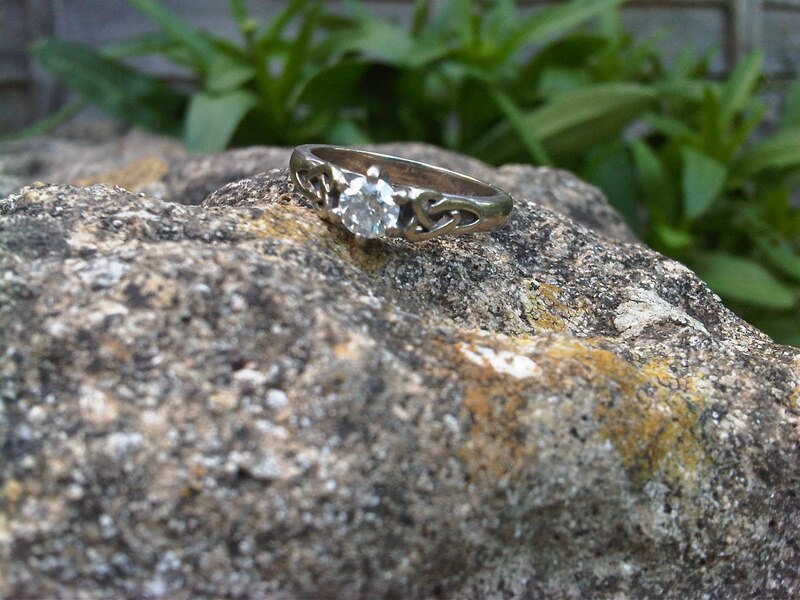 1 year 9 months and 8 days ago I was picnicking in the grounds of Warwick Castle when my boyfriend (AS) as he was at the time popped the question. 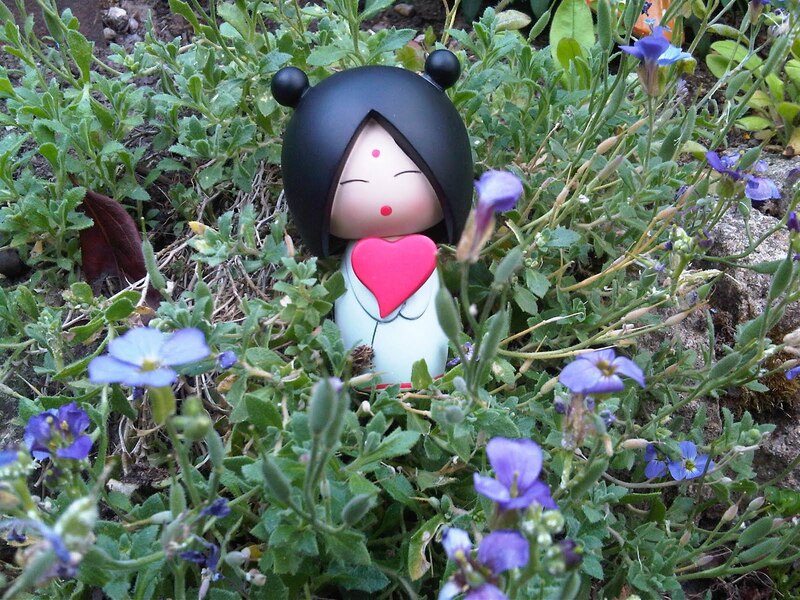 For a while we had been collecting Momiji dolls - small Japanese style figurines with a slot in the bottom in which you can put little message. So as you can imagine I was taken by surprise when he gave me this particular Momiji with a very special question inside. I was completely elated; my answer was yes of course (spoken in such a high pitch that I believe only dogs and Mariah Carey heard my initial answer). Wedding plans began quickly and we both thought that it would be amazing if we could have Momiji cake toppers made. 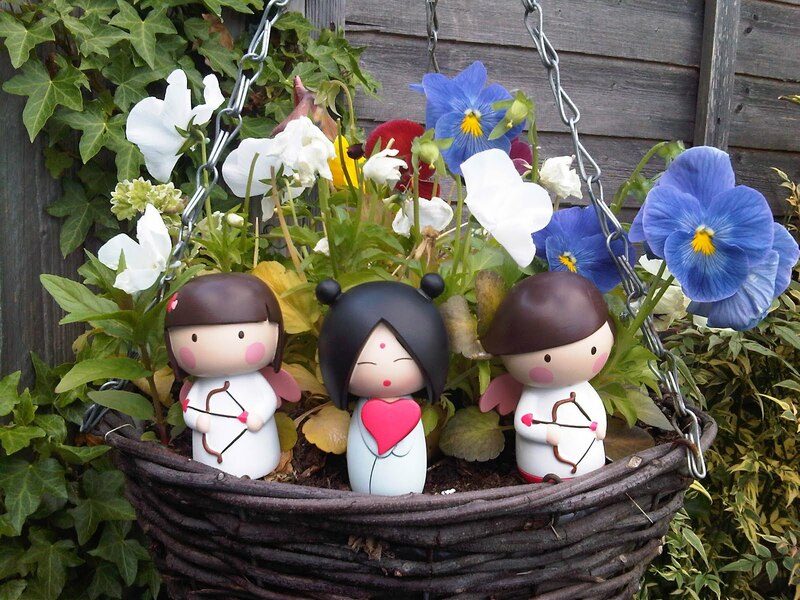 We contacted the Momiji Headquarters who said they were unfortunately unable to make us any by the time of our wedding but sent us a lovely pair of limited edition cupids called Plu & Pia. 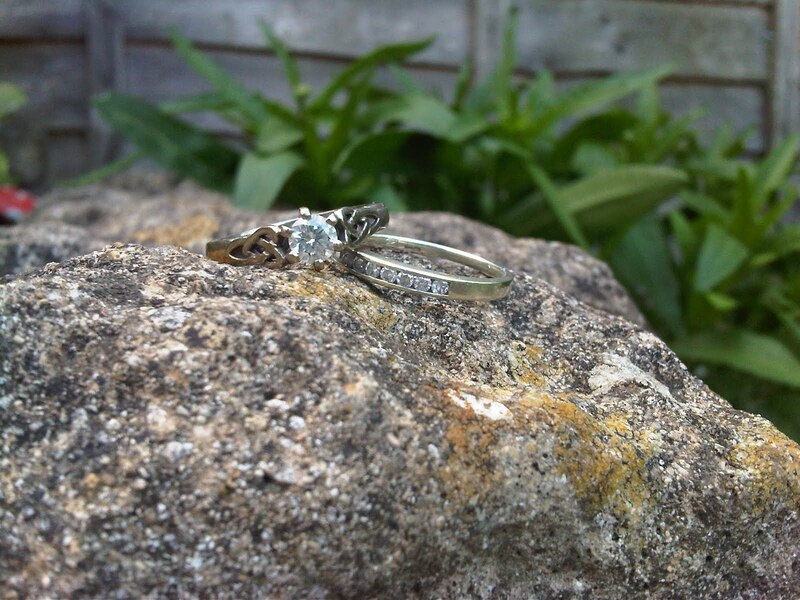 I was an extremely lucky girl because AS proposed to me with an eternity ring so that I could choose whichever engagement ring I wanted. 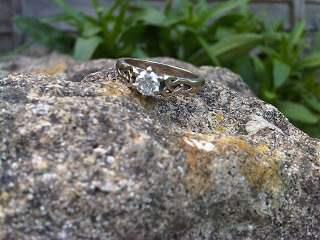 I already had the design of the ring in my head so a few weeks later and a some trips to the Jewellery Quarter I returned with my beautiful Celtic engagement ring. How jammy was I getting two engagement rings?! 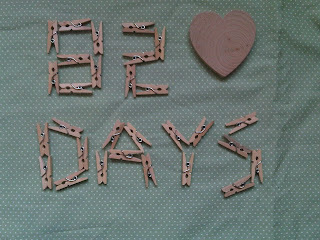 Now with only 82 days to go until the wedding I am keeping myself busy with various wedding related craft projects. 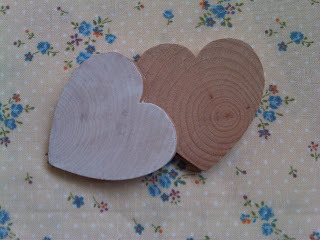 Currently covering my living room floor are several wooden hearts. These are going to be the place settings, which seem to fit our vintage woodland tea party theme quite nicely :) We had decided not to paint them at first because we loved the look of the wood grain, but decided that it looks even lovelier with a white wash letting the wood grain show through. I will be writing all the names on by hand with my swirly writing and my signature toadstool and other decorative doodles. 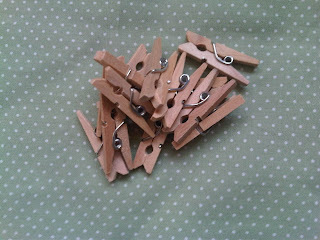 We will then stick mini pegs on to the back and have each place tag clipped to every wine glass. We also have giant hearts for the table names. 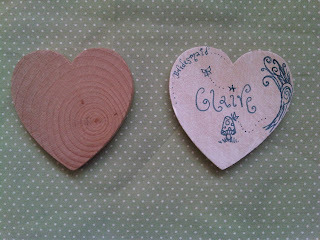 The tables are going to be named after different teas to reflect our love for our favourite beverage. I fell in love with this picture of a table plan today. 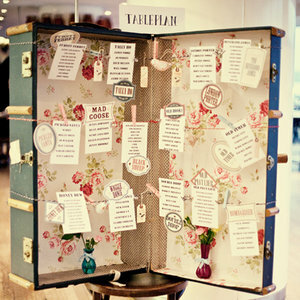 I am now determined to find a lovely vintage suitcase. 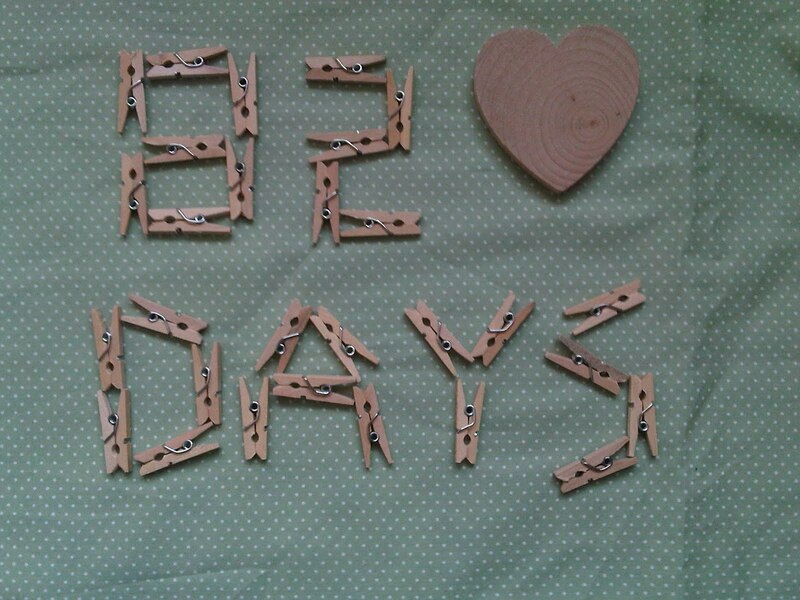 Is anyone else planning a wedding at the moment? 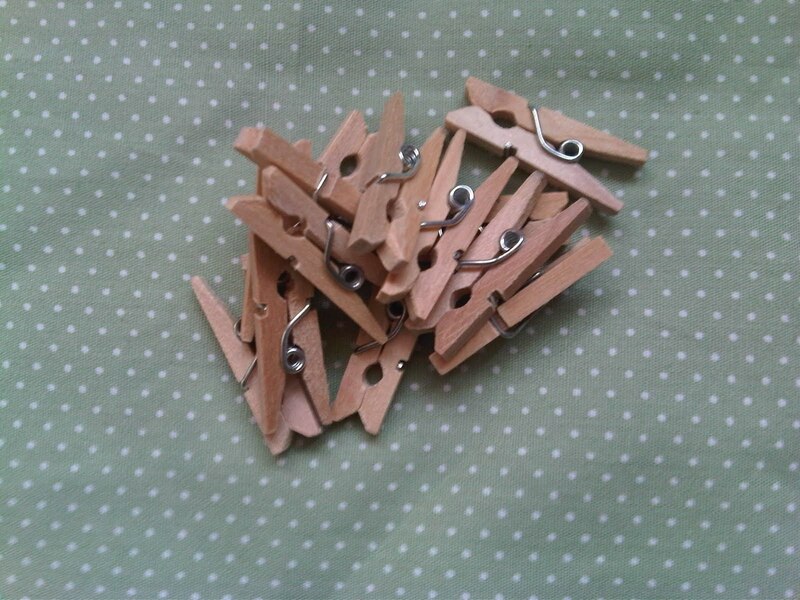 Do you have any DIY projects?